The site has been designed by LED architects with an emphasis on communal living. 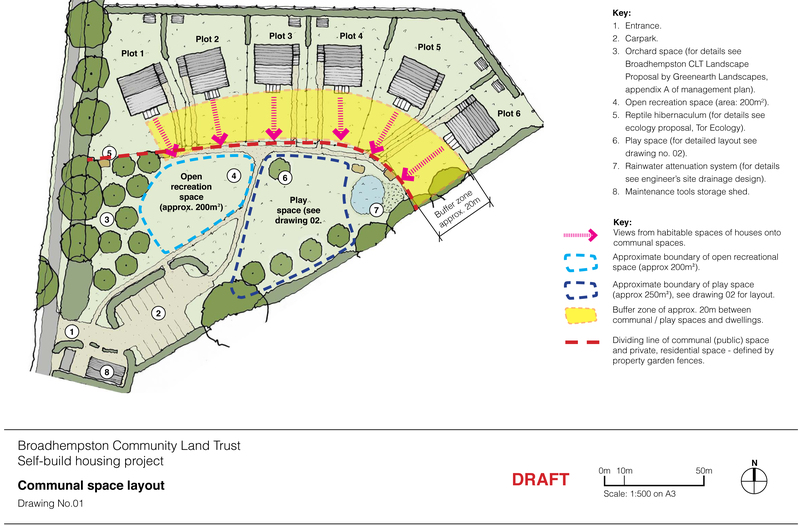 The 6 houses are laid out in a crescent, all looking onto a communal space, containing an orchard and play area. Two of the 6 properties have 3 bedrooms and the remainder are 4 bed properties. Providing the communal space is a condition of the Section 106 agreement. Its construction has to be complete within 6 months of completing the houses.